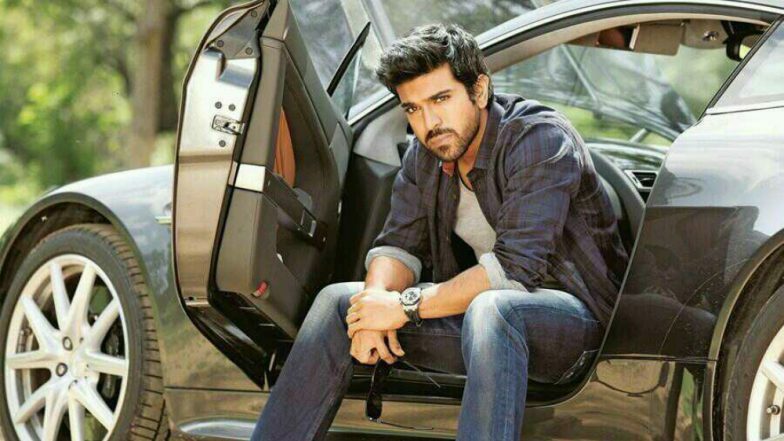 Actor Ram Charan is all set to ring in his 34th birthday tomorrow (March 27) and it seems fans can't seem to contain their excitement already. Birthday wishes for the South superstar have already started to flow in a day before. Hours before the clock strikes twelve, fans started to post heartfelt messages for their favorite actor on Twitter. With a massive fan following that the Rangasthalam actor enjoys, in no time, #HBDRamCharan started trending on the micro-blogging site. Interestingly, at the moment, it is the second most trending topic in India on Twitter. Ram Charan has had an amazing filmography so far. The actor has been a part of some of the biggest projects in Tollywood. The son of actor Chiranjeevi and Surekha, Charan made his acting debut in the successful action flick Chirutha (2007). Later on, he starred in several successful masala films such as Racha (2012) and Naayak (2013). One of his most prominent work till now remains S.S. Rajamouli's directorial Magadheera (2009). What's even better is that the coming year is going to be phenomenal for the star given that he is teaming up with Rajamouli again for his upcoming film RRR. As fans are waiting for hours to pass, they have already started to post their birthday wishes for the star by sharing his pictures and sending out loads of wishes for him. Ram Charan’s Wife Upasana Kamineni Konidela Gives Naga Chaitanya’s Ladylove Samantha Akkineni the ‘Perfect Bahu’ Title – See Pic. The actor is currently in Jaipur and was snapped attending Venkatesh's daughter Aashritha's wedding. The actor was accompanied by his wife Upasana Kamineni Konidela and actors Naga Chaitanya and Samantha Akkineni. Let's see if the actor rings in his birthday in Jaipur or not. With all those wishes being sent out a day before, we are sure Ram Charan will have a splendid birthday.